What is Durable Medical Equipment? Durable medical equipment, or DME, is any brace or device used to support or immobilize a joint. Walkers, crutches and other assistive devices also fall under the umbrella of DME. 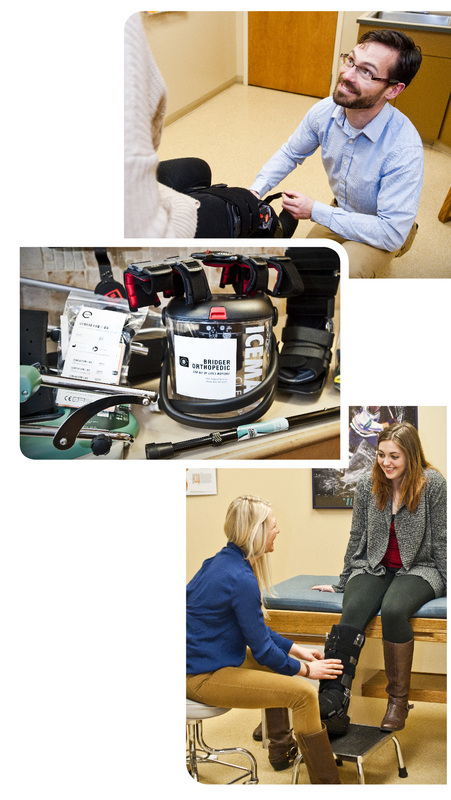 The DME department at Bridger Orthopedic stocks all the braces and equipment typically prescribed by our physicians and our trained staff will ensure your item fits properly while answering any questions you might have. 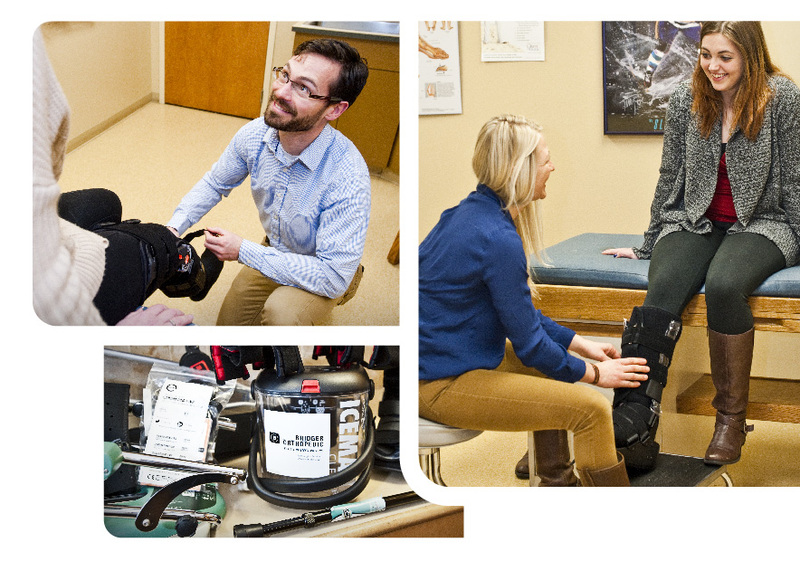 In addition to the basics listed above, our department can also fit patients for functional knee braces that support your ligaments or alleviate the symptoms of osteoarthritis during skiing, mountain biking or other outdoor pursuits. These braces empower you to keep doing the activities you love for longer and with less pain. We can also measure patients for custom made knee braces for an even better fit and improved performance! Pain and swelling are part of the body’s natural response to injury. Minimizing swelling can reduce pain and improve movement within a joint after injury or surgical repair. Cold therapy is a great way to accomplish this. Our DME department offers continuous cold therapy units for rental or purchase that provide improved performance over ice bags or gel freezer packs. Bridger Orthopedic now offers knee scooter rentals for those suffering from foot, ankle or lower leg injuries. These devices are a great way to get around and can result in a significant improvement in mobility versus crutches or walkers. Bridger Orthopedic now offers Continuous Passive Motion machines, or CPM’s. These machines are a mechanism of action for aiding joint recovery depending on the surgery performed. The devices are designed to constantly move the joint through a controlled range of motion. We offer rentals of these based upon your surgeons rehab protocol. Contact us at 406-587-0122 and ask for Erin or Rob in the DME department.